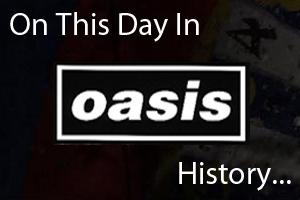 On September 4th 1994, Oasis' debut album entered the UK Album Chart at number 1. That evening the band played at the Limelight in Belfast, Northern Ireland. Listen to a report from the gig below. On September 4th 1996, Oasis played 'Champagne Supernova' to an estimated global audience of 300 million people at the MTV Video Music Awards in New York. On September 4th 2008, Oasis played at the Scotiabank Place in Ottawa, Canada. Watch footage from the gig in the below.